It’s really interesting how important and how magnesium and potassium play a role in your overall health. There are many foods high in magnesium and potassium which are beneficial for you. I think that a lot of us don’t realize just how important minerals are for our bodies and what foods contain the necessary minerals to survive. I am going to talk about these foods and reveal just why they are beneficial for your health. When we are growing up we certainly don’t care what we eat as long as it tastes good and we enjoy it. But by eating properly as kids, we are building our body to become strong and healthy. It’s all about the foods that aid us in accomplishing this. It’s crucial that we have foods that have a lot of potassium and magnesium in order to continue to help our body function properly at all times. So what is magnesium and what is it responsible for? It is a mineral that is involved in hundreds of biochemical reactions according to health officials and physicians. It’s benefits include maintaining the rhythm of your heart, making sure you have a healthy immune system, building strong bones,and maintaining the function of all your nerves and retaining normal muscle function as well. Since magnesium does so much for you it makes sense that the least you can do is to make sure your body has enough of it each day. The only way we know what our magnesium levels are is to have our labs done. But you must ask the doctor to specifically run a check on it. The same goes with potassium and other minerals. 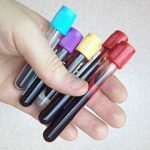 Sometimes these may be included in your regular tests but your particular doctor may only order a routine test so it’s wise to ask the doctor what those tests entail. The first time I moved to Florida and found a new doctor, he didn’t do a complete CBC (complete blood count) on me so I asked him why. The end result was that I did wound up having CBC and you should too. There are probably many folks who don’t know their magnesium levels and if you aren’t eating healthy, the chances are that you could be one of them. You can take magnesium supplements which are beneficial for you as long as you take the recommended dosage and your doctor is in agreement. But the better way to get the magnesium you need is through the foods that contain it. I take 250 mg of magnesium everyday. So because of the fact that I do eat foods containing magnesium my levels are good. You can see what you should have each day below. Helps you get to sleep and fight insomnia. As you can see there are many benefits of magnesium and low levels can cause many deficiencies in the body. I have had improvements with some of the problems listed that I had. There are many other minerals and elements that are crucial for your health. I just wanted to point out the downfalls of insufficient levels of magnesium so that you can correct it now before any negative health effects set in. Now I would like to share with you the foods that have the highest levels of magnesium. Nuts and seeds. Some of these include: flaxseed, cashews, almonds, pecans, Brazil nuts, walnuts, peanuts, sunflower seeds, and pumpkin seeds. 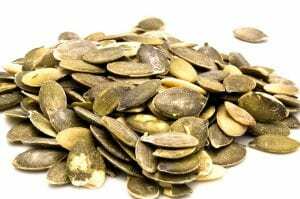 One half a cup of pumpkin seeds alone provides you with enough magnesium for the day. Soybeans are loaded with vitamins, fiber, minerals, and amino acids. There are other legumes such as: chickpeas, kidney beans, lentils, and black beans that also contain magnesium and are beneficial. Dark chocolate. Yes one square(sorry only one square because of the sugar and calories) will give you twenty five percent of the magnesium you need daily. I love chocolate and prefer milk chocolate, but unfortunately milk chocolate is not an option here. DARN! Bananas are loaded with potassium and are very healthy for you bit they also contain 118 mg of magnesium (in a medium sized banana) You can also choose blackberries, figs, strawberries, or blueberries. I stick with bananas because of both the magnesium and the potassium benefits. Avocado is extremely healthy for you all around. It one of the most beneficial fruits you can have. It has chemicals that fight diseases and it is packed with nutrients that are heart healthy and multivitamins as well. Low fat yogurt contains both calcium and magnesium which is a good combination. Make sure it’s low fat yogurt because of the sugar content. Fish are the healthiest foods to eat. Fish such as halibut, wild salmon,mackerel, and tuna definitely give you more magnesium along with omega 3 fatty acids and vitamin D.
There are plenty of foods that will give you the magnesium you need. So if you don’t eat some of them, you’ll likely eat others. It’s important to get magnesium for your body. Don’t overlook it. It’s necessary and healthy for you. Like magnesium, potassium is necessary for a healthy life and survival. It aids in controlling high blood pressure, helps control the balance of minerals in and out of your cells in your body. 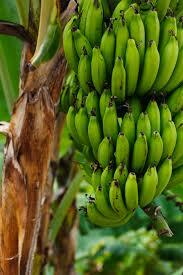 Potassium also helps in regulating your fluids and aids in contracting of the muscles. In addition as we get older, it can decrease the risk of bone loss and help prevent the recurrent of kidney stones. You do not want kidney stones! Like magnesium, potassium has many health benefits and it should also be checked through routine blood tests. It can lower your risk of stroke as well. Being deficient in potassium can cause issues with your cardiovascular system, depression, fatigue, and weakness of your muscles.If you’re one who has a problem with your kidneys, you don’t want to go overboard with potassium so you should not exceed 4,700 mgs daily. Having the proper amount of potassium also helps your nervous system working correctly. Potassium is like a super hero for your body and your health just as magnesium as. Eating foods that have both potassium and magnesium gives you a one two punch! When you stop and think about it for a minute, all of the things that both potassium and magnesium aid in and fight against wouldn’t be an issue if we were eating the proper foods in the first place. The bottom line is that we wouldn’t need medicine if we ate healthy. Food is the right medicine! Potatoes are a great source of potassium whether they are white, sweet, or red potatoes. They are high in vitamins B6 and vitamin C and iron. The contain fiber which is found more in the skin than inside the potato itself. One medium sized potato can offer 900 mg of potassium. Dark leafy greens. 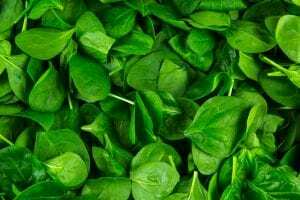 As with magnesium, dark leafy greens offer potassium as well. Eat your greens! Milk and dairy products can provide the potassium you need too. 300 mg are in one cup of whole milk. Fish once again has omega 3 fatty acids and just about any fish will provide you with about ten percent of the daily requirements for potassium for you. 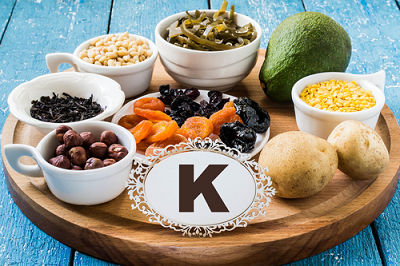 Potassium is something you need but you most likely don’t know if you’re deficient or not unless you have your blood tests done and your physician is aware of it. The bottom line here is that as you can see there are a lot of foods that are common with having both magnesium and potassium in them that can also help lower your blood sugars. Potassium and magnesium can help with your sugars but if it isn’t enough and you need to lower them more, then something with more punch may help you. This just works! I hope that you learned something and that it helps you get or become healthier. Please leave any comments or questions that you may have. I would appreciate it and will get back to you as soon as I possibly can. Thank you and here’s to great health for you! Really enjoyed reading your article on Mg and K. You provide lots of excellent information on both minerals and an extensive list of the important health benefits of getting enough of each in your diet. In my research into natural ways to manage blood pressure, I have also blogged on the importance of Mg and K in one’s diet, so it was great to find a post which also touches on this subject. Nicely done and again thanks for all the interesting info. Hey Nick, thanks for your comments. I write about blood pressure on my website as well. It’s important as is magnesium and potassium is in our diets. I think health is more of an issue these days than ever before. Let’s get healthy and good luck with your blogging! Diabetes is one of the major health problems today not only among the elderly or middle-aged people but even among kids as young as 2 or 3 years old. And to be able to manage and control diabetes naturally is a so much better than taking medicines. I am glad you included not only the health benefits of Mg++ and K+ and which foods are the best sources but also the normal levels in every age group. Great information. You’re absolutely right! When we’re younger we never really give that much attention to the foods we eat. Only when we get older and start experiencing problems with our health that we realize how we’ve neglected our health. Controlling diabetes at any age is important. It’s especially hard with children. I always prefer taking the natural approach than taking medications. That’s why eating healthy and getting all the vitamins and minerals means so much. I believe that if we all knew what healthy foods contain, such as magnesium and potassium, we would change our eating habits. And the results would be that we would feel so much better and have more energy on top of it. Here’s to magnesium and potassium! Hi Rob, just visited your site while surfing the internet and found it really useful. My dad has diabetes and I am afraid that I may also suffer from diabetes or a sugar problem and I was looking for a way to control my sugar. Now I know how much banana, fish, soybean and leafy vegetables can be helpful.Thanks for making a helpful site. Yes diabetes is a terrible thing and the more that we know about it the better off we are in conquering it. That’s why it’s important to eat the right foods especially ones with magnesium and potassium. They will help to control your sugar. Keep on top of it and eat healthy and exercise. And oh yes, don’t forget to see your doctor regularly! The information was positive, easy to read and loaded with information, great use of stats and very detailed. I enjoyed reading the information and learned a lot about magnesium rich foods and what magnesium is. Most of the foods listed I have been eating for years but your list was very thorough, I was not aware that magnesium regulated so much. GREAT post!! Magnesium and potassium play a huge role in your health. It’s always better to get your vitamins and minerals from the foods you eat. Once you’ve learned what magnesium and potassium regulate in your body, then you will become much healthier. Eat healthy by having the foods packed with magnesium and potassium. Thank you for your comments! Thank you so much for this great information. It was very well documented and insightful. I have a friend who suffers from Diabetes and the information you gave with its statistics helped me to gain a better understanding of the foods he can ingest that properly his deficiency.